Wow. Arguably any criticism of a Judge is a matter of public concern. Especially from a lawyer. Just couch it in proper terms instead of lay terms like Sean Conway’s accurate but badly chosen words, and TFP can pound sand. This is a setback but I shall have vengeance. Your decadent freedoms I despise. I shall destroy you yet!! The Bar will say that defamation is different than “unethical” speech. However there is no practical difference. Looks like I will get my disbarment vacated. As to Rumpole: no, he will not disclose his identity as he is a coward beyond anything I have ever encountered–an alleged man who will not stand behind his own lies and defamations. Jack: I have a question for you. I am not trying to be argumentative or accusatory. Simply, I have seen numerous instances over the past few years where you take it upon yourself to write to the Bar or the JQC concerning issues which appear in this blog. I wonder if you would share with us just how many such complaints/inquiries have been responded to and for which any action has taken place. Are you willing to share this with the blog? I don’t answer anonymous inquiries. I don’t know the answer to your question, but since the questions concern JQC isn’t it likely they ignore Thompson same as ignoring any other complaining person when it comes to protecting Judges? Judges better keep their mouths shut when citizen journalists bring their cameras into court. Judges should keep their mouths shut until called upon for a ruling and let the lawyers and staff do their jobs. Conway (aka Sean Conway) is the lawyer who undeservedly got front page NYTimes coverage for writing stuff everybody already knew about Judge Aleman. He was the first broward lawyer to test the boundaries of lawyers free speech (way back before Gelin thought taking pics of judges was risque), but he got reprimanded for warning that Aleman was a crazy witch nut trying to get people to waive their speedy trial rights. He opened himself up to blackmail? The old man had already told the world his pee pee was pencil top eraser size. After that admission, what else could possibly be used aginst him? You forgot the ending, despite this blog and Fred Haddad helping Conway for free, Sean caved to the bar, declined to fight, accepting a reprimand. A real profile in courage. As I recall it, and as the first entry up top agrees, Conway’s words weren’t the type one “fights to defend” … if his goal was to draw attention to a problem, it worked. I’d say it would’ve been foolish to appeal the Bar, with those words. Take the publicity, and run with it! The Bar can shove it with their selective enforcement practices made along political lines. Guess this ruling pretty much spells the end of their petty little game. All I can say is, it’s about time. A bunch of punks if you ask me. Hey 5:44, what help did this blog offer him? If memory serves as intended, this blog left up all the bad comments about him, and never lifted a finger towards his fine. Conway was one of the first to shake sh!t up here against a sitting judge. Back then, ’06, nobody was running against (let alone saying anything against) a sitting judge. Took balls to sign your name to such a post back then. Rumpole will never reveal imho. Conway fell down because he lacked the courage to stay the course, nothing more. Hardly. Conway was smart to realize his words were over the top – not worth appealing. He knew quickly it was wiser to just enjoy the publicity & cut his losses. Good thing you weren’t his counsel! To the poster at 10:28- do you understand the definition of Irony? I mean, Conway puts his name to a story that was bound to cause a commotion, in order to expose Aleman. Yet there you sit, on the sideline, jealously and anonymously saying he had no courage?! 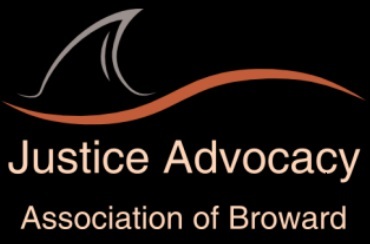 No other Broward attorney’s words have been challenged by a Bar grievance cmte. There was no point to appeal (and surely lose due to the words used), just to satisfy the couple of people who routinely come out of the woodwork and display their envy. Agree with your post. Hope you can keep update your post. I will back. thank you! Thank God for the web, because I have personally made it my mission to expose corrupt lawyers like Jeff Weissman and I quote “At this point Sharon and I looked at each other, we felt uncomfortable for playing a trick on Elijah to get him to answer a question a certain way”. This is what Jeff the biggest lying GAL and Sharon , Dr. Brannon’s old associate testified to in court. Any thing for a buck. Well Since I have written my book I have been contacted as far away as New Zealand, been interviewed on TV and radio and at first I only mentioned the judges names. But now that I see that there is so much interest it is time to reveal the corrupt, despicable lawyers, GALs and court appointed psychologists. My first one is about Jeff Weissman and I have started a personal blog on him, the blog will contain his testimony and perjury and then the testimony of the person he lied about. The blog will show the complaint made to the Florida bar. So while you are all fighting away in criminal court and standing up about drug addicts rights, you might stop for a minute and realize you are working with the bottom feeders of the state right there in the divorce court industry. Yup, not a word about all the corrupt judges there and the pay offs, and the favors. Or as my attorney David Bogenschutz said The judge offered me a deal so I would give up my appeal “quid pro quo”. But I have to hope that there are some really good lawyers and this is for them to know who they are dealing with and that there are others like me willing to stand up to get these slime balls removed from your cases. 0 thoughts on “Going underground: into the world of the alienated child” PAS…written by Dr. Richard Gardner, quoted by Sherri Bourg-Carter and Jeff Weissman, all of them believers in pedophilia, exactly as they quote from his book. They see nothing wrong with children being “rubbed” in bed by adults. I can’t believe Dr. Brannon is still working there…can’t get any worse, or maybe it can. If you are a lawyer in family court and want to know who’s in with the judges then visit http://www.protectingmychild.org. save your client some money and heart ache, don’t let people who condone pedophilia represent or be near children. Oh, did I forget to mention Vicky Plant. I will always remember her on several cases, she has no regard for children and places them in harm’s way. Remember that all expense paid trip to NY by one of the parents Vicky?